Creative commercial interior design company in Bangalore We design the spaces that you dream about. best interior design company based in Bangalore and are passionate about creating unique & attractive spaces. Vinra Interiors is a commercial and residential interior architectural design company providing the complete solution from office design, fit out, furniture to project management as you dream about. Best & Luxurious residential Interior designers in Bangalore. Vinra interior designers & decorators serving our clients in and around Bangalore. We design for all types of Residential projects like Apartments, Villas, Homes, Row houses by using creative design strategies for your spaces and also offers innovative home interior designs for kitchen and wardrobes at affordable prices. Vinra Interiors Bangalore is the interior design firm, focuses on delivering your project with the quality, schedule and value that puts your expectations first. Best Residential Interior designers in Bangalore Vinra Interiors being one of the best interior designers in Bangalore, our group of team has good experience in executing creative and beautiful interior designing projects for several years. 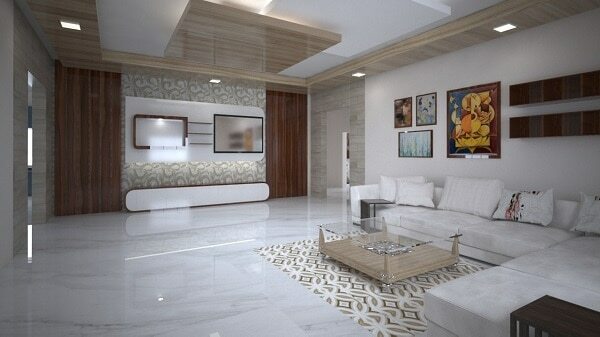 We are now running with providing best residential interior designs in Bangalore. Creative interior designers in Bangalore We Vinra Interiors know for creative work of a professional that can make all the difference, whether it is home or your business office having many bedrooms, or your office is having large/small space. It can be tricky to create a cohesive look that is representative of your style, that's where Vinra Interiors designers comes in. A interior decorator will help distill your tastes and thoughts of your dream home/office. Commercial interior designers in Bangalore Vinra Interior Designers has been providing timeless interior design solutions to residential and commercial projects. We specialized in residential & commercial interior design and decorating.